Us humans tend to want to know more as we learn. Our desire to know more increases the more we learn. Learning is built into our genetic code for our survival. This is why society has produced new technology over time which makes it easier for us to access and share information. Humanity’s strong effort and our curiosity has gotten our kind through the worst and most dangerous places in history. We are the change agents and caretakers of our planet. We have come so far that today we are even thinking of living on other planets such as Mars. One of the most important accomplishments has been getting our women and men out in space and landing on the moon. 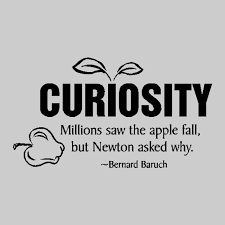 Curiosity also makes us want to learn more within our communities. 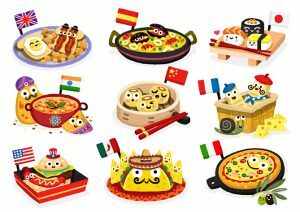 Culture can be experienced in many ways but often we get to know a culture by eating the worst and best foods it has to offer. If we travel around the world then we get to learn and teach different traditions and cultures. Learning is done using different languages. The beauty of having all our 5+ senses is amazing, I’M GRATEFUL TO BE ABLE TO SEE, TOUCH, TASTE, SMELL, AND HEAR but most importantly begin CURIOUS. Our colorful surroundings help us love and see that our world is amazing and beautiful. Whether we walk down to the shopping center in our neighborhood or we travel around the world, we get to see what our past generations wanted for our future and how we get the chance to have everything we want. A footprint on the surface of the moon. Ironically we know more about the surface of the moon than the bottom of our oceans. FREEDOM should not be an American Dream. It should be a human accomplishment.